Creative Commons How To Find Creative Commons Content With Google How To Find Creative Commons Content With Google Creative Commons content isn’t always as easy to find as you think. In fact, most things that you find and copy are copyrighted in a way that makes it illegal to copy it without asking... Read More , the intellectual property license that lets creators retain the rights to their work but also make it available for others to reuse and sample, has come to YouTube. The YouTube Video Editor How To Use The New YouTube Video Editor How To Use The New YouTube Video Editor Read More now includes a small button labeled “cc” which provides access to the YouTube Creative Commons library. Videos that carry this license will be visible in the editor and can be remixed or sampled by others as they create and upload their own content. These clips can be used free of charge, but the titles of any source video used will be shown in the new video’s information. The selection of video available under Creative Commons is currently limited, but YouTube is “working with organizations like C-SPAN, Public Resource.org, Voice of America, Al Jazeera and others” to provide more content under the license. 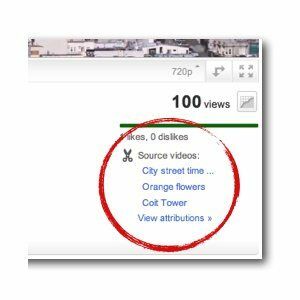 Over 10,000 videos are to be available, although the blog post How to Post to Blogger From Your Cell Phone How to Post to Blogger From Your Cell Phone Read More announcing this new feature doesn’t clarify when the additional content will appear in the library. Publishing a video under the Creative Commons license is not limited to organizations like C-SPAN, however. Any user can now upload their video under the license, thus adding it to the database. The new option is available in the upload interface below the privacy options. Existing videos can have their license changed to Creative Commons. This is a good way for newbies to create, edit or enhance their first set of videos and for others to be visually creative about existing footage. YouTube is known for both.